OPOL, Misamis Oriental – Roel Tagupa, a Higaonon, 41, used to earn just enough to feed his wife and their two children. On a three-hectare farm located in Tingalan village of this province, he tended to his crops of corn, banana, cassava and coconuts. 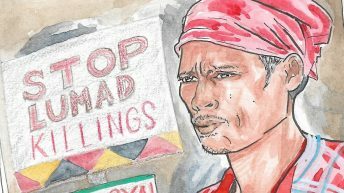 Life was peaceful for Tagupa and his family until A. Brown Company, Inc. started planting palm oil in the 520-hectare land where Tagupa and the rest of the Higaonon tribe lived. Using a Forest Land Grazing Lease Agreement (FGLA) issued to a local farmer by the Department of Environment and Natural Resources (DENR), A. Brown encroached into the ancestral domain of the Higaonon tribe. Tagupa was one of the Higaonon tribe who joined the focus group discussions organized by an international fact-finding mission led by Pesticide Action Network (PAN) Asia and the Pacific, Asian Peasant Coalition (APC), Peasant Movement of the Philippines (KMP), and Kalumbay Regional Lumad Organization. 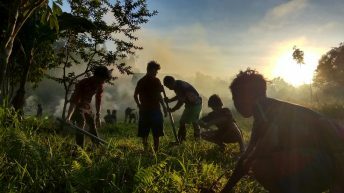 The mission went to the villages of Tingalan and Bagocboc on May 6 to 8 and documented the impact of palm oil plantation on the lives of Higaonon. The Higaonon tribe ancestors had been in the area even before the Spaniards came. In the 1950s, many members of the Higaonon tribe were displaced from their lands by a local landlord who used force to drive them away and convert their agricultural lands to pasture lands. Over the years, the remaining tribe members and settlers tilled and made the lands productive. In February 2011, local DENR officials told the Higaonon tribe that A. Brown has the authority to develop the land since the holder of FGLA already issued a special power of attorney to A. Brown’s subsidiary, Nakeen Corporation. The said the lease agreement is set to expire in 2016. In 2010, the lease agreement was cancelled and the local DENR categorized the land as forest land. In a dialogue with members of the fact-finding mission with DENR national office, Joey Austria, chief of the DENR’s indigenous community affairs, said that A. Brown has not filed any application regarding the use of the land. Austria said that only forest trees and not palm oil can be planted on the land. At first, the company offered to pay the Higaonons P9,000 ($209) per hectare for a 25-year lease. A Brown also promised to build a hospital and provide scholarships for the children. None of these has been fulfilled. Tagupa was among those who tried to apply as a security guard in the plantation. After completing all the requirements, A. Brown told him to plant palm oil on his land and he would receive P200 ($4.65) per day. He refused, saying he would never plant palm oil on his land. 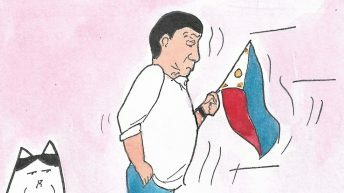 “How would I feed my children if I agreed to them?” he told Bulatlat.com in a separate interview. The others who were accepted as laborers were promised regular jobs in the plantation but were only given contractual work or work on a piecemeal basis. They are paid below the minimum wage – P247 or $5.74 per day, while the minimum wage for agriculture work in Opol is P264 or $6.14 per day– and are not given the emergency cost of living allowance. They have no protective equipment, exposing them and the whole community to hazardous chemicals. 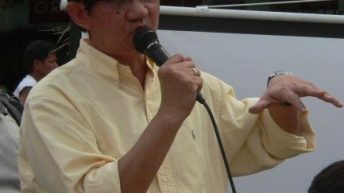 Tagupa and the rest of those who refused to plant palm oil experienced various forms of harassment (see related story). Eventually, Tagupa and those who opposed the plantation were driven away from their farms. Without land to till, they have become farmworkers, working in other people’s farms to earn a living. 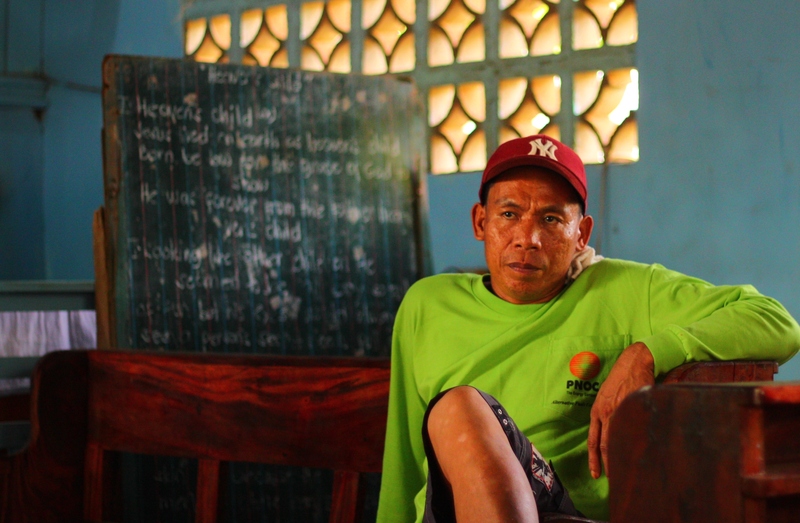 “I work so hard but no matter what I do, I cannot feed my family well,” Tagupa said. Pangalo said she initially allowed A. Brown to plant palm oil on a portion of their farm. “The company said they would allow us to continue planting banana. We were surprised when a barangay official who favors the palm oil ordered the cutting down of our trees, saying A. Brown has the right over the land,” Pangalo said. “Before, we had food. We could plant corn. Now, even bananas and cassava are eaten by rats,” Pangalo said. The residents noticed the significant increase in the number of rats and other pests since the palm oil plantation began. These days, Pangalo, a mother of three children, grabs every job available to feed her family. She would take out weeds in other people’s farms to augment the family’s income. A stream that served as a water source for cooking and washing became contaminated with agrochemicals, residents of Tingalan village said. The residents have since stopped using the stream because they noticed that people were getting sick with abdominal pains and diarrhea. Residents around the plantation experienced an increase in incidences of cough and colds and various skin diseases. During spraying of chemicals in the plantation, residents also experience nausea and headache. 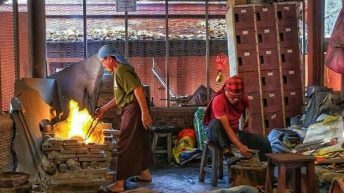 Besides the economic difficulties, the company also encroached on their culture. Two of their traditional sacred areas were desecrated and destroyed. A balete tree that marked their burial ground and ritual area was cut down by A. Brown personnel. 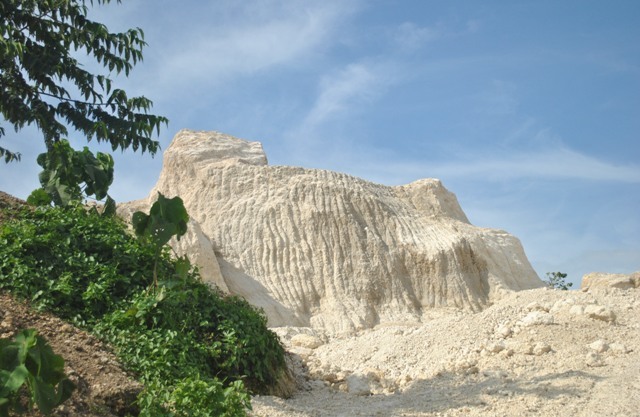 A sacred hill was quarried for A. Brown’s road construction. “Every fiesta, the local government would invite us to town to perform dances but when it’s about our land problem, they do not recognize us as indigenous peoples,” Tagupa said. The local indigenous people’s group Pangalasag sought the help of the regional office of the National Commission on Indigenous Peoples (NCIP), raising the absence of free, prior and informed consent (FPIC). However, the NCIP officials established another group of indigenous peoples who are in favor of the palm oil plantation. In a dialogue with members of the fact-finding mission, May 8, Opol Mayor Dexter Yasay, said palm oil plantation and the rest of the Public-Private Partnership projects of the Aquino administration, bring ‘development’ to the people. He refused, however, to listen to the members of the mission about the key findings. “Our government is being used as tool to facilitate the entry of A. Brown, while farmers are being driven away from their lands. 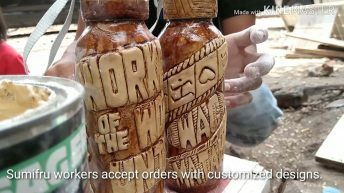 This is a concrete manifestation of President Aquino’s Private-Public Partnership program, which prioritizes the interests of agro-industry over the rights of farmers and indigenous peoples,” said Antonio Flores, National Council member of KMP and one of the members of the fact-finding mission. The fact-finding mission called for the pull-out of A. Brown and the immediate return of farmers and indigenous peoples to their lands and justice for victims of human rights violations. They also called for an end to global landgrabbing and land use conversion; and to uphold food sovereignty. “We are determined to fight. Even if we get crippled, we would stand up using our hands,” Tagupa said, almost teary-eyed. ERRATUM: A. Brown Inc. is not an American-owned company as earlier reported. It is Filipino owned with business address in Cagayan de Oro City. We apologise for the error. My question-my only question-was regarding the nationality of A. Brown, nothing more. What A. Brown is doing in Misamis Oriental (and presumably elsewhere), according to Ms. Olea, is clearly verging on the criminal. 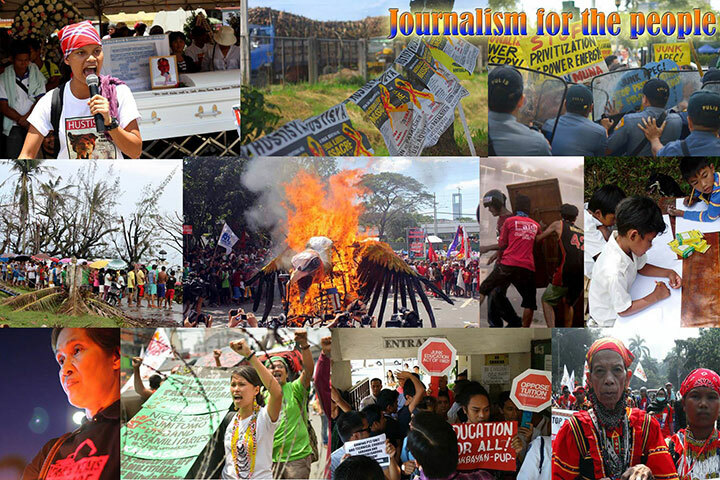 As will be clear to anyone who regularly reads Bulatlat-journalism for the people- their articles generally detail the struggles of the minority, providing a bullhorn for those who too often struggle in silence, whose protests may otherwise go unseen and unheard (except here, on these pages). So my advice, if you want to hear from those poor, wrongly-maligned companies like A. Brown, try the pages of Fortune 500 or more conventional news outlets. As for me, I’m here for the minority perspective, which is rarely heard. I commend Ms. Olea for continued good, necessary reporting. How come you did not try to get the side of A Brown? Right. Ronalyn Olea, you owe us your readers an explanation. Why is not the side of the company you attacked not shown here? How do we know you are not attack/collect “journalists” out to fleece innocent victims? Come on, tell us why your story is one-sided. Hi, Ronalyn. By any chance, have you tried to get the side of A Brown? I’ve gone over your article, and the research is evident, but I don’t see anything about the other side, something that I’d normally find in an article like this. This is a Filipino company, not American-at least, according to their website.